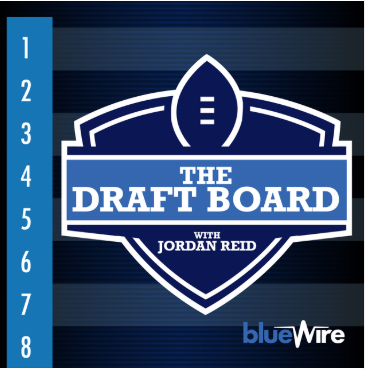 The Draft Board is a weekly, half-hour podcast hosted by Jordan Reid. The pod will focus on the NFL Draft as well as news and notes from around the league. Reid has covered the NFL Draft on multiple platforms — bringing unique access and coverage from various angles. From beat writers to some of the biggest name prospects in the upcoming draft, The Draft Board will feature weekly guests to help bring behind-the-scenes access as well as team specific perspectives on all 32 teams.